Located on a beautiful and small island near Vembanad Lake, Philipkutty's Farm is a heaven for bird and nature lovers. It is just 75 km from Kochi airport and offers you an amazing variety of native and migratory birds chirping all around the lake. 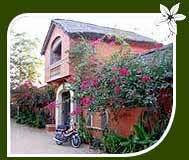 With peaceful and aesthetic five villas, this eco-lodge offers you an stay in lap of nature and backwaters. Periyar Wildlife Sanctuary (170 km) and water sports are irresistible attraction. All villas are well furnished and each one is exclusively designed and facilitated. The views of frolicking birds around the lake and backwaters is one of common features of all rooms. Depicting Kerala's ultimate beauty, they offer world class leisure plus unbelievable arrangement of nature. The prime facilities offered at Philipkutty's Farm include traditional meals with rejuvenating dining rooms and thatched pavilion, activities like boat cruises, angling, fishing, bird watching, cooking and painting, and invigorating Ayurvedic treatments. The Apani Dhani is an eco-magic created in the beautiful Shekhawati region of Rajasthan. 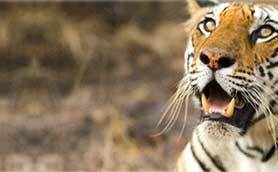 Located just 110 km from domestic airport in Jaipur, this beautiful eco-lodge in Nawalgarh offers a leisure access to world famous Sariska national park. Apani Dhani is a unique rendezvous, where you will enjoy the confluence of traditional Indian way of life, rich heritage of the region and various local practices to save our ecosystem. The lodge has 9 beautiful bungalows. All rooms at Apani Dhani are constructed in traditional style using sun dried clay bricks, mud plaster and ochre from local mountains and a thatched roof. 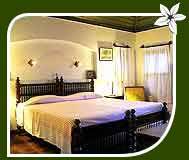 All rooms are equipped with attached bath with hot and cold water, television, direct dialing telephone and working desk. Other facilities offered here include swimming pool, playground, multi cuisine restaurant, bar, indoor games, shopping arcade, doctor on call, coffee shop etc. Green Magic Nature Resort is a highly dedicated eco-lodge located at an altitude of between 3750 feet and 4500 feet in Vythiri, Kerala. 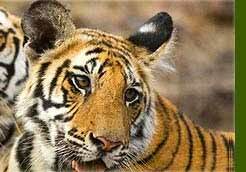 If you are on wildlife vacation to Wayanad Wildlife Sanctuary, this our lodge is a unique place to experience nature. Just 80 km from Cochin International Airport, offers a number of rooms and tree houses with beautiful sweet and pristine rain forests, misty mountains, sweet songs of streams and sparkle of waters. 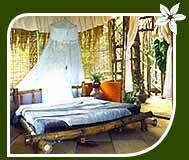 Green Magic Nature Resort offers natural friendly accommodation designed on ethnic line. All rooms are set up in rich natural environment. The tree houses are somewhat exclusive. More over all rooms and tree houses are equipped with double beds, telephone, bath with shower and hot water and veranda. Other facilities which you can enjoy here are authentic Kerala delicacies, activities like bird watching, nature walk and trekking through the mountains and tribal areas, painting and photography.